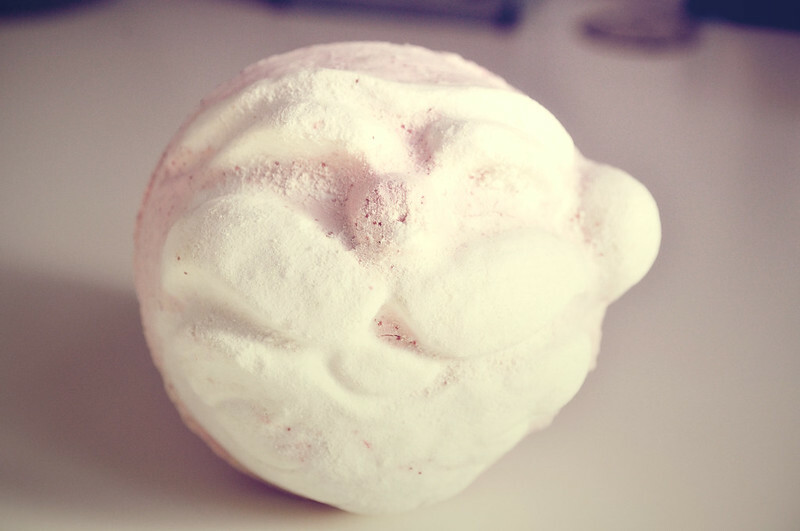 This is another old Christmas bath bomb that they've changed up a bit. It now contains red glitter and is shaped slightly different. It still has the same lovely orange scent to it but has a little surprise inside. A bath that gives you the colours, the sparkle and the smells of Christmas, with mandarin oil and orange flower absolute. Father Christmas is a bit of a secret santa who modestly hides his hidden talents. I used this the other night & wasn't ready for the amount of glitter that came off it. It was lovely but I did look like a Disco Ball.